The Gospel of John was written by the inspired author for some apologetic purpose addressing the challenge to Christian faith in his contemporary time (see “The Apologetic Purpose of the Gospel of John"). Yet not only the truth he sought to communicate has timeless dimension as the Word of God, the theological and rhetorical styles that he employed sheds the light of how Christian apologetics may be conducted to suit its content. In today’s practice of Christian apologetic, very few attention has been given to the features how biblical writers formulate their persuasion. Here I am trying to give an example from my contemplation of the Gospel of John. To put things together, we shall see that the Gospel writer has consistently presented Jesus as the self-revealing divine personality who bears the divine witness for himself. What he has disclosed to us is about his own identity, as the divine Son of God who incarnated and came to this world. His witness is from the above and belongs to God; but his hearers are from the earth and belongs to this world under the devil’s and the sin’s influences. He remains divine when he is human. His self-witness is completely divine, not of human mixture. It is because of sin that this world rejects him. Only those who is regenerated by his Spirit will hear his words and come to faith and become his children. Jesus’ identity is thoroughly self-authenticating, and his testimony is self-attesting. Bekken’s recent study on Jesus self-witness in John 5:31-40 and 8:12-20 shows some kind of parallel with Phillo’s Legum Allegoria 3.205–208. His finding suggests that the self-authenticating self-witness is understood in the Hellenistic Jewish thought as the category of divine witness. In other words, God alone can claim this sort of self-authenticating self-witness argument, and it will be a sign of signaling divinity when encountering this kind of argument. It confirms with the Gospel’s account that the Jews wants to kill Jesus because he holds himself as equal to God. It is important to qualify that Jesus’ self-authentication is not existential. For between the self-revealer and the believer there are multiple divine witnesses to attest with each other, and there are many secondary witnesses to confirm or point to the divine witnesses. The Gospel writer’s apologetic in fact engages the three persons of the Trinity and whole cosmos in the attestation of Jesus as the Son of God, the giver of life. What has been emphasized in the Gospel is not the believer’s personal encounter with the divine Logos, but the mutually attesting relationship between the Father and the Son, added with the testimony of the Holy Spirit, who leads the believers into truth. It is the inter-Trinitarian mutual attesting that authenticates the identity of Jesus. Only the divine attests the divine, not human experience attest the divine revelation. It is also not docetic, for the Gospel teaches clearly that the divine Logos has incarnated into human flesh. The humanity of Jesus is nowhere compromised in the Gospel. On the contrary, he demonstrates the best kind of human testimony that a human being can do—trusting in God’s self-witness and obeying his will perfectly. It is certainly not Barthian as well. The Gospel has made this point too clear to put a second thought: the “darkness” does not refer to human finitude, but human sinful and rebellious status. Jesus refuses to receive any human witness of this world unless the witness is sent by God from above. However John makes his firm appeal to the Scripture, which is not a part of this world. Jesus is portrayed and presented by the Gospel writer as the only possible way of knowing God and therefore his work of salvation. Jesus is not an abstract and empty object of faith that we may encounter in a vacuum. Jesus is the author of the creation and life, the fountain of all truth and grace; from his “fullness we have all received”. Jesus is a historical and eternal personality who was preexistent in the beginning, who created the world with his Father, who incarnated and came to this world, who declared the gospel and revealed himself to the world, who died and resurrected for his people, he has ascended and now continue being present with his believers through the sending of the Holy Spirit. He continues to illuminate us into his truth and lead us into his life. We are now living a life of Jesus that we can bear the witness for him as he is himself speaking and doing through us. The point of contact between Jesus’ gospel and the minds of this world, according to the theology of the Gospel of John, resides in the Spirit-inspired interest in the knowledge of God which is impressed in men’s hearts in their desperate status of living in this world of darkness, and in the illuminating power of God to disclose and denunciate sin as the ultimate cause of all unbelief. The Spirit-filled human witness himself will also provide the point of contact, for he has been of this world but now free in the light of the Son of God. The task of his human witness is to point to this world the divine self-witnesses (the Trinity and the Scripture) that are thoroughly self-authenticating and mutually attesting. Among the different schools of contemporary Christians Apologetics (classical, evidential, cumulative, presuppositional, and the reformed epistemological), Van Til’s presuppositionalism shares the most features and the least tension with the apologetics of the Gospel of John, for 1) it maintains the strongest creator-creature distinction, and 2) intends to be informed by all the divine witnesses, and 3) commits to the self-authenticating character of God’s self-witness. More detailed studies are needed to complete this evaluation. Presuppositionalism has been charged for lack of exegesis. It is my hope that this brief discussion will make a small contribution to alleviating such regret. P.J.Bekken, “The Controversy on Self-witness according to John 5:31–40; 8:12–20 and Philo, Legum Allegoria 3.205–208: Some Observations,” in Identity Formation in the New Testament (ed. B. Holmberg & M. Winninge; Tübingen: Mohr Siebeck, 2008), 19-42. For the convenience of argument, I use Steven B. Cowan’s taxonomy of contemporary apologetic schools, though it is not completely satisfactory. See Steven B. Cowan, Five Views of Apologetics (ed. Steven B. Cowan and Stanley N. Gundry; Grand Rapids: Zondervan, 2000), 7-20. 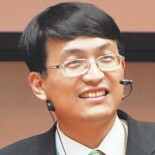 This entry was posted on 三月 15, 2012 by 陸尊恩 in Apologetics、Hermeneutics and tagged apologetics, Gospel of John, presuppositionalism, self-authenticating, self-witness, Van Til.